We are all so busy! We are wives, partners, husbands, children, brothers, sisters, aunties, uncles, friends, neighbours, work colleagues, team members, business partners, carers, housekeepers, drivers, gardeners, teachers, organisers, community members and so much more! Each of these roles take up precious time and the more time we give to others, the less we have for ourselves. We look for the fastest and easiest way to do just about everything – but most especially, our meals. We trust that the packaging on our food is telling the truth and we believe our food is “natural” and “healthy” and “pure” and “organic” and “sugar free”. In actual fact, the food industry want our money, and they don’t really care how they get it. For them, stretching the truth here and there, means nothing. 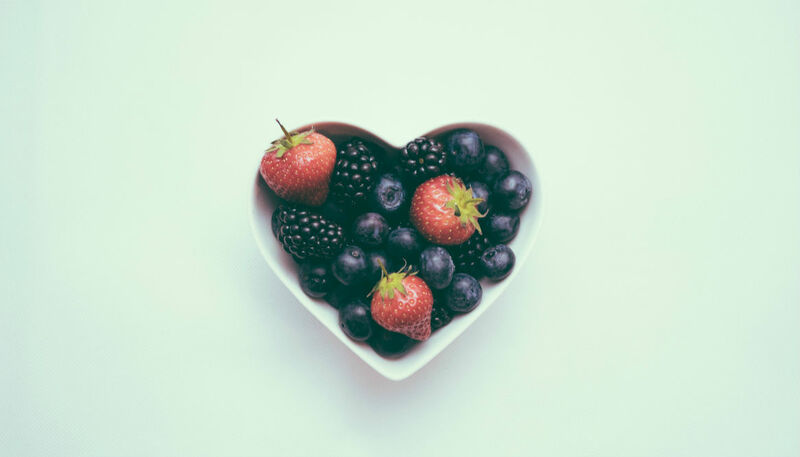 So here, in this section of my website, I will talk about nutrition and how important it is to our health, energy levels and our head spaces. There are many aspects to consider, other than food, so we’ll talk about healthy habits that can improve our lifestyles. 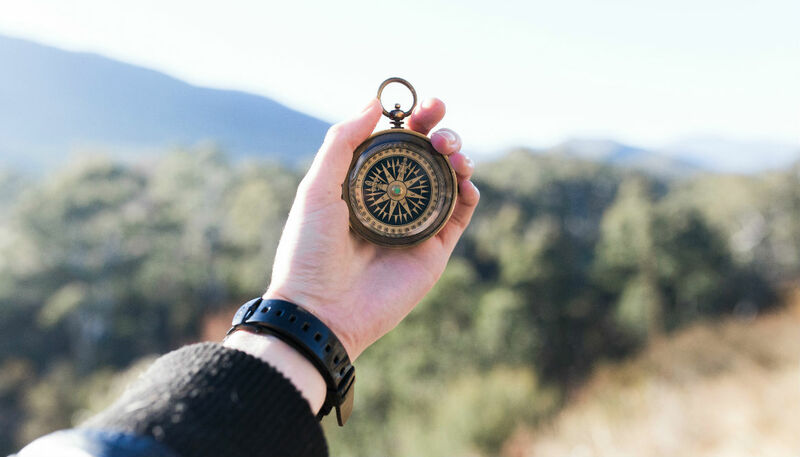 So let’s pause in our lives for a moment and veer off in a new direction. I am the voice of experience, as is my Adoring Husband! I will share our story and our experiences and hopefully inspire some of you to fall in love with yourself and make the necessary changes to discover the happy, healthy person within. You have to start somewhere. Let it be here! Ta Da!! It’s the yellow button! Just to give you an idea of what your body absorbs in a day and also what it tries to filter and eliminate using your precious organs, here is a short and basic list of (unnatural) ingredients in FIVE everyday products that you probably use regularly. A bar of soap: Sodium Tallowate, Sodium Cocoate, Glycerin, Frangrance, Sodium Chloride, Titanium Dioxide, Etidronic Acid, Tetrasodim EDTA. Toothpaste: Calcium Carbonate, Sorbitol, Arginine, Bicarbonate, Sodium Laurel Sulfate, Sodium Monofluorophosphate, Flavour, Sodium Silicate, Carmellose Sodium, Sodium Bicarbonate, Titanium Dioxide, Acesulfame Potassium, Xanthan Gum, Sucralose (artificial sweetener) and Limonene. Mouthwash: Alcohol, Sorbitol, Flavours, Poloxamer 407, Benzoic Acid, Cineole, Sucralose, Since Chloride, Methyl Salicylate, Thymol, Sodium Saccarin, Sodium Benzoate, Sodium Fluoride, Menthol, FD&C Red 40 and FD&C Blue 1. Deodorant: Butane, Isobutane, Propane, Cyclomethicone, Aluminium Chlorohydrate, Isopropyl, Palmitate, Parfum, Bisabolol, Persea Gratissima Oil, Ocyldodecanol, Glycine Soja Oil, Disteardimonium Hectorite, Dimethicone, Proplylene Carbonate, Dimethiconol, BHT, Linalool, Geraniol, Citronellol. Hand Wash: Sodium Laureth Sulfate, Cocamidopropyl Betaine, Sodium Chloride, Cocamide MEA, Fragrance, Glycol Distearate, Sodium Salicylate, Sodium Benzoate, Polyquaternium-7, Citric Acid, Tetrasodium EDTA, Benzophenone-4, Aloe Barbadensis Leaf Extract, Chamilla Recutita Flower Extract. You probably can’t even pronounce most of those ingredients right? Consider, on top of this list, all the other products that you use e.g. shampoo and hair conditioner, clothes washing detergent, dishwashing liquid, face toners/cleansers/moisturisers, makeup such as foundation/mascara/eyeliner/blush/lipstick, hair products like hairspray/styling gels/mousse, perfumes, after shave lotions, hair removal creams, nail polish and polish remover, eye drops, indigestion tablets, pain killers … and then there are the cleaning products – go count how many different cleaning products you have in your kitchen, laundry and bathroom. Your skin is absorbing, or your lungs are inhaling the toxic ingredients of these products every single day of your life. Then you need to include the food, or food like substances that you eat and drink. Caffeine, alcohol, sugars, artificial sweeteners, preservatives, additives, herbicides, pesticides, chemicals, food dyes just to name a few. We can’t all do EVERYTHING, but we can all do SOMETHING. We take small steps and make small changes, even if only one at a time, as we attempt to reduce the toxins in our home and in our lives. We’ve been conditioned to believe that these chemicals and toxins are necessary for hygiene and that they are perfectly safe to use because the toxins are apparently ‘negligible’. Even if they are negligible, add up all the negligibles in soap, sanitisers, toothpaste, shampoo, conditioner, mouthwash, makeup, food, alcohol, cleaning products, washing powder, dishwashing liquid, hair product, perfumes, skin products, fertilisers, garden products, car cleaners, plastics and the list goes on and on. That is a hell of a lot of negligibles that add up to a whole lot of toxic. So, one at a time we find healthier, cleaner options to replace the toxic. A perfect example is the chore of ‘dusting’ in the home. My Adoring Husband seems to think that toxic chemicals are required to remove dust. Not only that, but every surface requires a different toxic chemical – you know timber, ceramic, marble, laminate, glass, plastics. My favourite solution for removing dust is … WATER. A damp cloth is all that’s required to get rid of dust on all surfaces in your home. My favourite solution for cleaning windows is water and white vinegar. Use a spray bottle to spray it on the glass and use paper towel or newspaper to wipe it off. To clean the floors … a steam mop … with just water. To clean your teeth … 1/2 cup of coconut oil mixed with 2-3 tablespoons of baking powder … if you need that minty taste, add a drop of peppermint essential oil to the mix. Some people need the sweetness and add stevia. 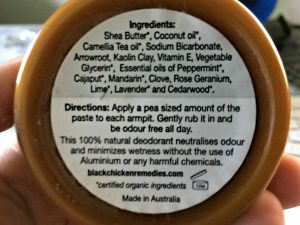 There are lots of non-toxic deodorants out there on the market but the only one I found that was completely effective over a whole day is Black Chicken Axilla Deodorant Paste. I bought a 75g jar, opened it in early February and am only halfway through it more than 3 months later. 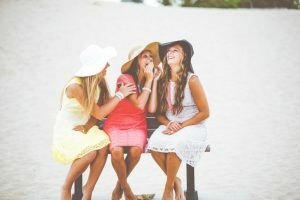 These are just a few ways that you can reduce the toxic levels in your life. I hope to provide more alternatives in future posts because every little bit helps!